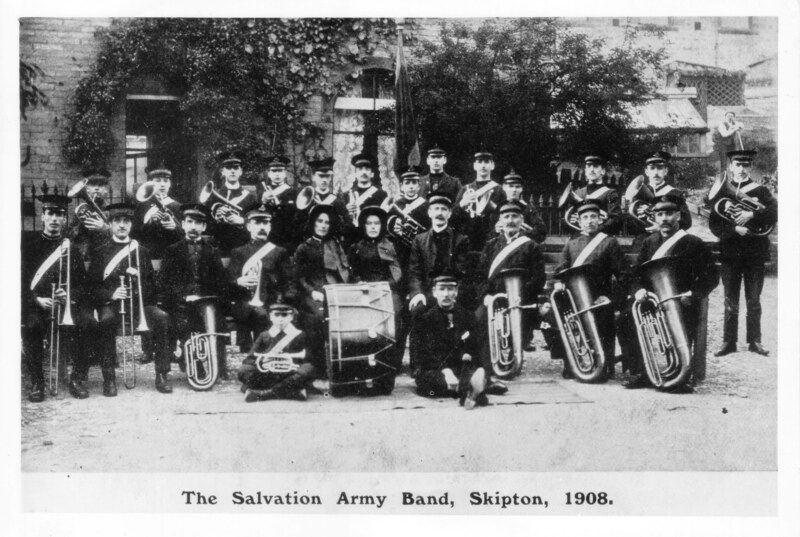 My Grandad Fred Boocock was a member of the Skipton Salvation Army Band, does anyone know any names of these members please. Fred could be amongst these members. He went on a trip to Ireland with the S.A to play at some point my mum tells me. He brought back a sheelalee which my mum still has.